By all his own accounts, James was born in Wellington, New Zealand in the late 1850s; however, no trace can be found of a birth certificate in the name of James Byrnes. What does exist, however, is a certificate [see below] for a James Sexton, born in 1857 to Mary Wilson, in Wellington (Sexton was the surname of his mother’s first husband William). It’s probable that this is our James, with James later taken his presumed father’s surname, after Francis Burns and James’ mother formed a liaison , moving to Queensland very soon after James' birth, along with Mary’s older children. It’s not known where the five children lived immediately after their mother’s death on a remote Queensland property near Gayndah in 1864, but by the time he was a young man, James was working as a printer, so presumably at some stage during that time, he at least went to school. It appears likely he was living in Toowoomba when he met his bride-to-be, Grace Pobar, who came from a family of farmers and butchers on the Downs. James’ brother and sister, Sarah and Joseph Sexton, lived in Toowoomba in the 1870s, and it’s probable James was living with them. Sarah’s step-father, Francis Burns, w as also a member of the household when she married in Toowoomba. 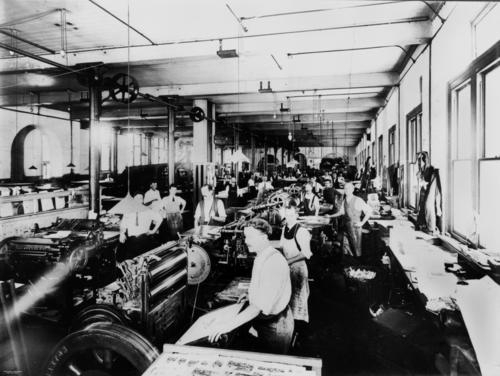 Coincidentally, Sarah’s husband, a young Englishman William Smith was also a printer, so Smith may well have introduced his young brother-in-law to the trade. 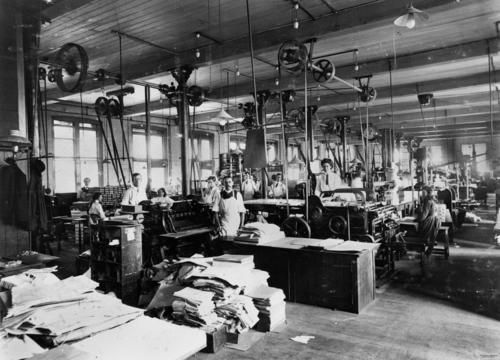 By 1882, James was working in the Government printing office in Brisbane, and soon after his marriage to Grace in Toowoomba that year, the couple was living in Leopard Street, Woolloongabba, later shifting to Kangaroo Point. James and Grace had only two children, Thomas and James (jnr). 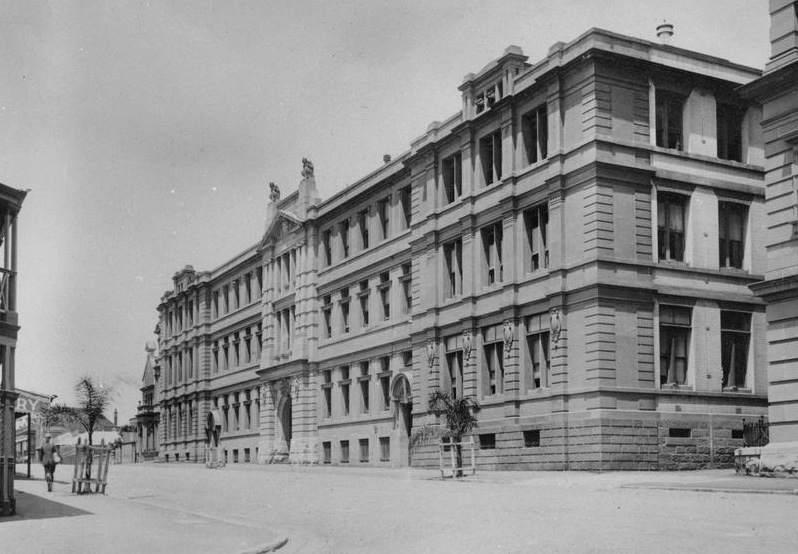 right: the Government Printing Office, in George Street, Brisbane (on the corner of William street) as it was in 1920, when James was a compositor there. 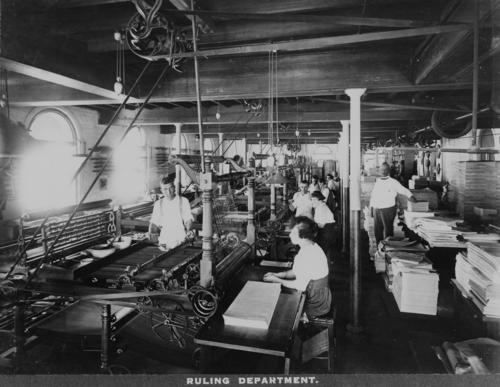 at left: three photos of the interior of the former Government Printing office, c1912 from the State Library of Queensland. James has been described by two of his grandchildren as “a quiet, gentle, lovely man”. Grandson Peter Byrnes remembers him as "a tall, well-built man, of kindly disposition". James lived near the Brisbane Cricket Ground (the 'Gabba), and on one occasion, took young Peter and Peter's father, Tom, to see the West Indies play cricket there. James was a keen gardener, and according to Peter, always kept the yard neat and tidy. 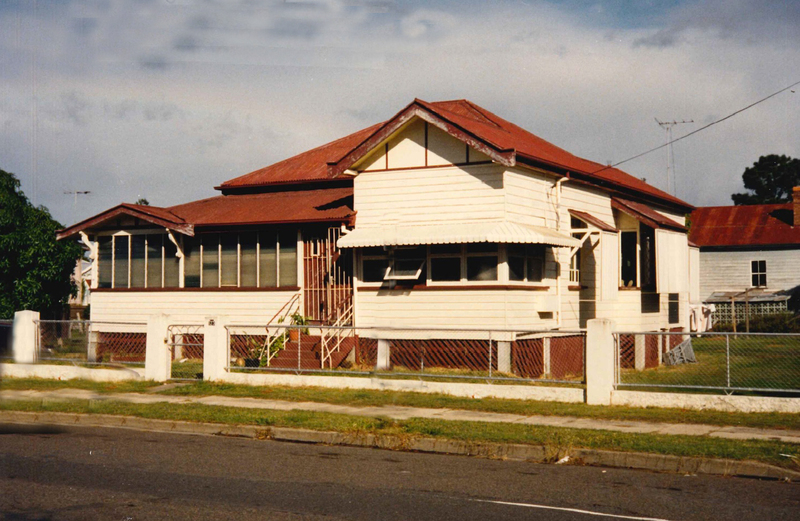 In 1932, James died of cancer at his home "Beira" (right) at 123 Baines Street, Kangaroo Point, Brisbane and was buried in Bulimba cemetery, South Brisbane. 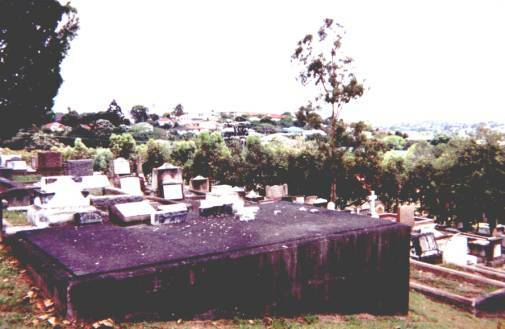 James’ rather forbidding grave on a hill in Bulimba Cemetery, South Brisbane (left). The plaques have been smashed by vandals, and decades of weathering have discoloured the concrete. His granddaughter Eileen Boyle says that originally, the grave of James and his wife Grace was a more delicate affair, but after Grace’s burial, it was remodelled to allow Grace’s niece Gladys and her husband Terrence Ryan, to be buried with them. The 1857 birth certificate of James Sexton, born in Wellington to Mary Sexton (née Wilson). 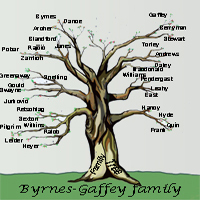 James grew up using the Byrnes surname. Birth certificate of James Sexton. Queensland birth certificate of son Thomas.